Do you want to save money on your taxes, fund your SEO plan, and get a HUGE bonus? 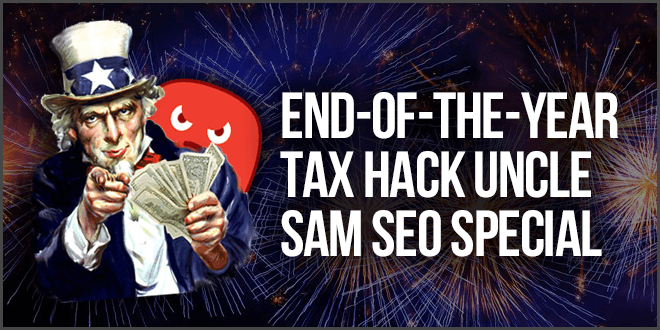 Today we’re launching our End-Of-The-Year Tax Hack Uncle Sam SEO Special and I want to show you how you can keep your money (instead of giving it to the government) AND get a bonus from The HOTH! If your business made profits this year, you will be taxed on them. In fact, Uncle Sam is going to take a nice chunk – 21% in the US! On top of that, if you pass that income to yourself, your taxation can be EVEN HIGHER. So how do you avoid giving all that sweet, sweet, hard earned money to the IRS? If you spend that money on expenses, like marketing, then you can lower your taxable income, since you are only taxed on profits. That’s why right now, every smart, profitable business owner is DUMPING their profits into pre-purchasing as much as they can for next year to lower their 2018 tax bill. It’s legal, and it works! In fact, according to Forbes, more than 70% of US businesses don’t pay Corporate Income tax because they know this! You can essentially give money to yourself instead of being taxed on it. How To Save Big And Get A Bonus From The HOTH! Now, with HOTH Credits, you can pre-purchase your SEO marketing for next year… and write it off as an expense! To claim your bonuses, just shoot us a message here after you purchase and let us know whether you’d like the credit bonus or the Guest Post bonus. Click here to buy HOTH Credits, lower your tax bill, AND get a BONUS! They can be used for any service in the dashboard. They can be combined with any future discounts, bulk buyer program, etc. You can buy them on a credit card and get the points. They are essentially HOTH Cash. Click here to buy HOTH Credits, lower your tax bill, AND get a BONUS. ***Disclaimer: I am not an accountant or lawyer so you always seek professional advice that pertains to your situation. This post is excellent I never thought about doing this. I will have a look at your products. Do your services work for the UK? 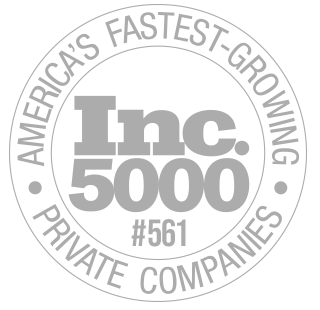 I am a small business owner…. with sales of less then $100k CAD and these marketing emails reflect the disconnect between your marketing and my situation. How could I fathom using your services when you don’t even understand mine? Hey Nick, we have solutions for every budget – best thing to do would hop on a quick call with us and we can help you out! I am a member of your site and I am working in the field of SMS marketing. Thank you for visiting our site.